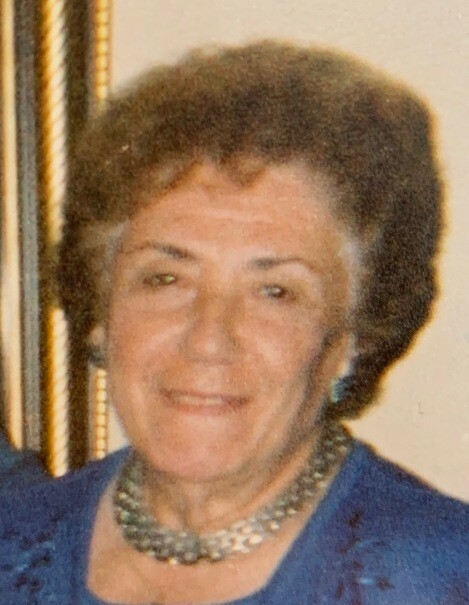 Doris E. Hoban, 93, of Raynham, passed away on Wednesday, March 20, 2019 at Seasons Hospice, in Milton. She was the wife of the late Earl E. Hoban. Born in Manhattan, New York, she was a daughter of the late Joseph and Esterina (Dettori) Clores. Mrs. Hoban worked as a packer for Princess House for many years prior to retirement. She loved doing crafts and enjoyed cooking, as Italian cuisine was her specialty. Doris also loved watching cooking shows, was an avid shopper and text messager for a woman of her age. Her family often refers to her as a QVC shopping channel advocate. She leaves her two children, Edward J. “Eddie” Hoban, of Wareham and Charlene Hoban, of Taunton; cousins, Eileen Coombs, Jack and Karen Schatz, and Rick and Linda Schatz; seven nieces and nephews, Carol Flemming, Bobby Clores, Doreen Iaropoli, Karyn Donahue Kelly, Gary Kelly, Elaine Phillips, Anthony Clores, and many other nieces, nephews, grand nieces and nephews. Doris was preceded in death by her six siblings. Her funeral will be held on Tuesday, March 26, 2019 at 9:45, am from the Silva Funeral Home, followed by a Mass of Christian Burial at 11:00 am, in Saint Anthony Church, School Street, Taunton. Interment will be at 1:00 pm, in the Massachusetts National Cemetery, Connery Avenue, Bourne.